Dyer, a retired printer who worked at Rockford College, said 22 cities in Illinois made presentations – including Rockford, Mattoon, Peoria and Springfield – were in the running. 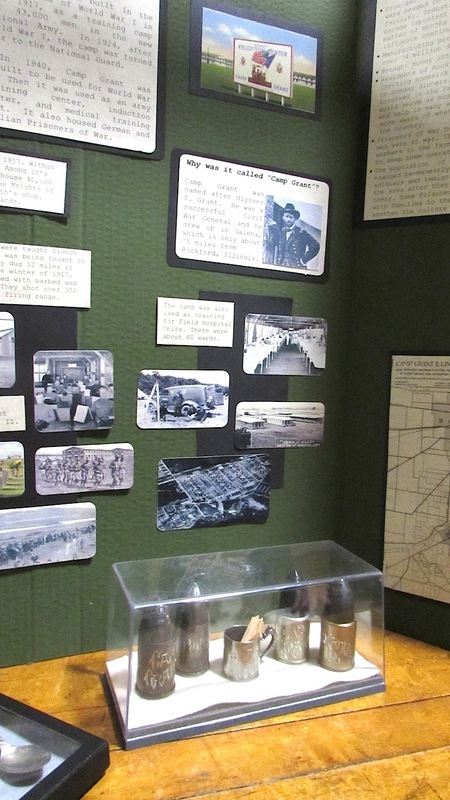 Rockford offered the government roughly 6,000 acres – six working farms – nestled between the Rock and Kishwaukee rivers in close proximity to rail service. That was a big plus since the camp needed 6 million gallons of water a day, Dyer said. Dyer, a recognized scholar and lecturer, will discuss the 1917 origins of the massive National Army Training Center named Camp Grant. The Sampler Series lecture begins at 7 p.m. Monday, April 3, at the McHenry County Historical Society Museum, 6422 Main St. Admission is $10. 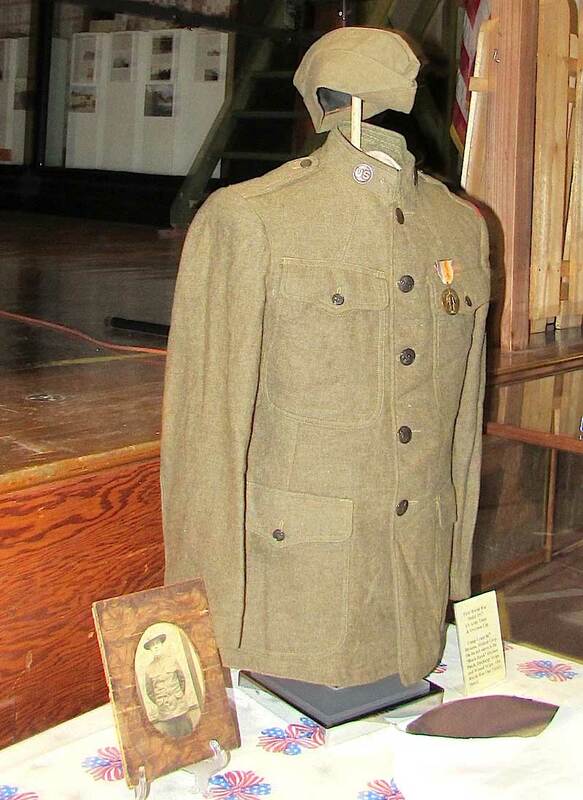 Doors open at 6:30 p.m.
A self-described “history nut,” Dyer’s great uncle fought in the Civil War, his grandfather served in the 12th Illinois Cavalry during World War I and his father fought in North Africa and Europe during World War II. Health issues prevented Dyer, 70, from serving during Vietnam but he remains a passionate Civil War aficionado who has spent years chipping away on a book about the camp – named after Civil War general turned president, Ulysses S. Grant. “They started building the facility in July 1917 and in four and a half months it went from pristine farmland to a fully functioning military city with a population of 57,000 by the summer of 1918. 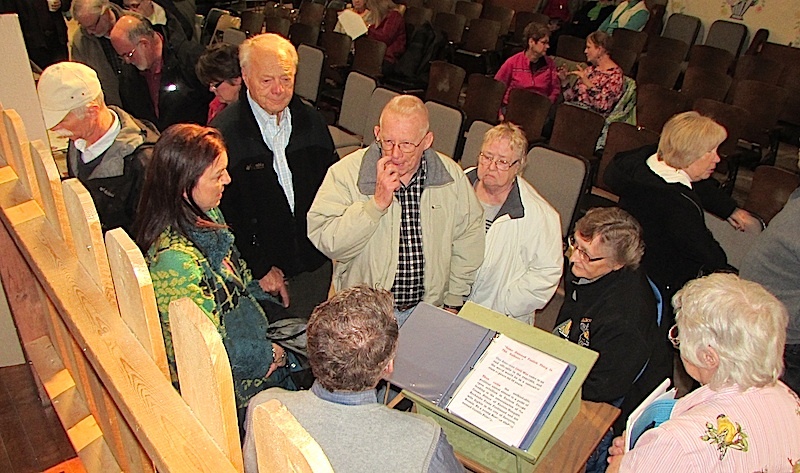 The entire population of Rockford at that time was 60,000,” Dyer said. 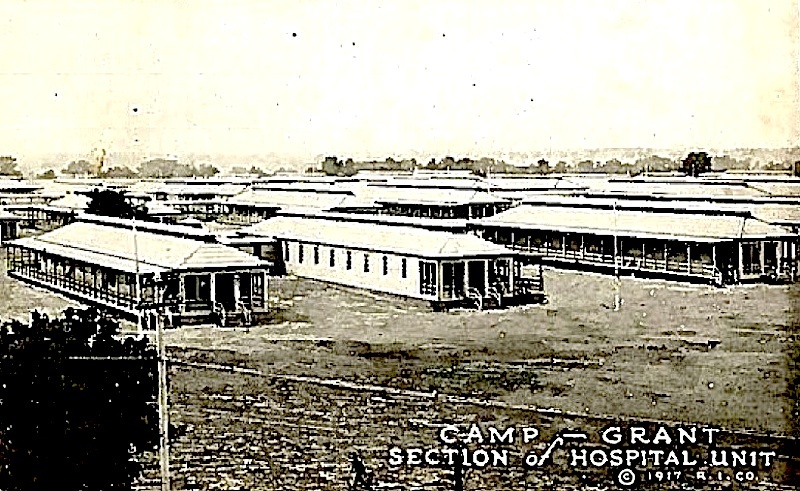 The camp boasted about 1,100 buildings – including barracks, officers’ quarters, stables, bakery, theater, blacksmith shops and a hospital – and spanned 5,600 acres. “It was a city within a city. It had it’s own post office and license plate,” said Yoland Weisensel, who runs the Command Post Restaurant and Camp Grant Museum withy her husband in what was one of three fire stations and later the induction/mustering out center for the camp. Two celebrated military units that passed through the camp included the famed 86th, known as the Black Hawks, and the 2808th Engineers, builders of bridges and railroads from Sicily to Florence, Italy. The 92nd Infantry “Buffalo Soldier” Division, an all-black division who fought bravely alongside French, also was trained at Camp Grant. 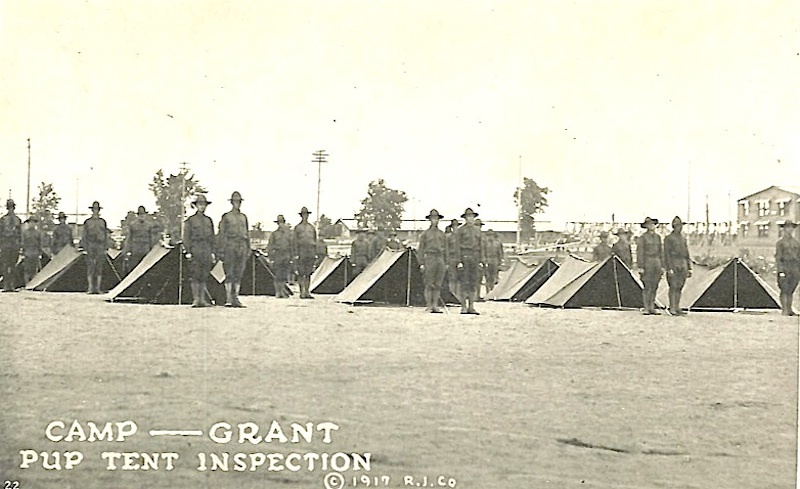 Following World War I, the federal government offered Camp Grant to state as a summer camp for the Army National Guard’s 33rd Illinois Prairie Division. 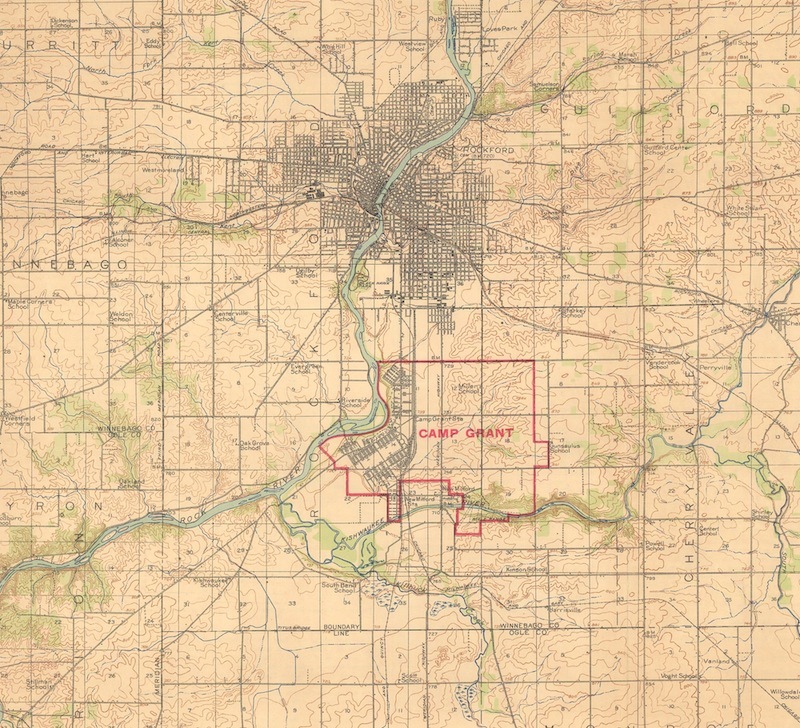 In the midst of the Great Depression, the Civilian Conservation Corps stationed about 1,100 men there in 1933. • 7 p.m. Tuesday, April 25 – Eugene V. Debs and the Fight for Free Speech in World War I. University of Tennessee historian Ernest F. Freeberg will mark America's entry into World War I by revisiting one of its greatest opponents: Socialist and one-time McHenry County prisoner, Eugene Debs. Admission: $10. The lecture is being co-sponsored by the McHenry County Historical Society, Woodstock Celebrates and the Illinois Labor History Society. 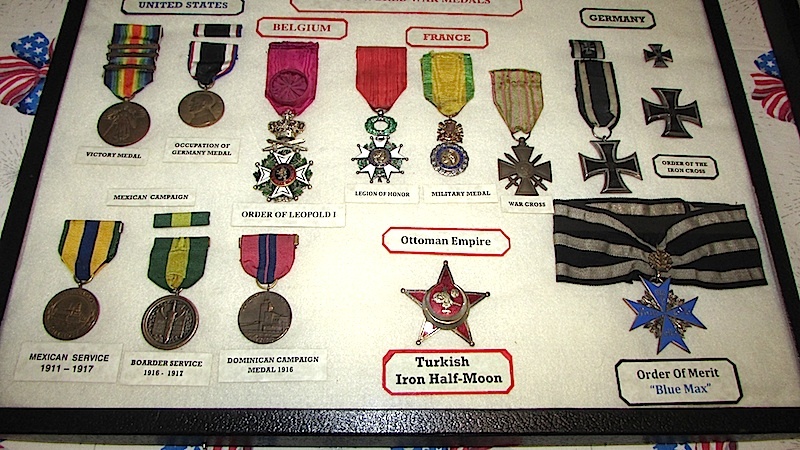 • 3 p.m. Monday, May 15 – General Pershing and World War I. Local historian and re-enactor, Ed O'Brien, will assume the guise of Gen. John L. “Black Jack” Pershing, commander of American Expeditionary Forces in France during World War I and responsible for more than 2 million men. Pershing, the most celebrated soldier of his time, is worth remembering as our nation marks the 100th anniversary of its entry into the war. Admission: $10. For information call 815-923-2267 or visit www.GotHistory.org.